Italians are performers. Who better to learn the art of entertainment from than the champions of animated emotions, dancing gestures and uninhibited passion? Not to mention this country is where Opera was born and one in which there is no shortage of gorgeous, centuries-old stages waiting for you to break into their spotlight. Course in theater acting: Italian methods and techniques, as well as many other in the fine, performance, visual, liberal and decorative arts; design; and Italian language. Since 1982 Laboratorio Nove has set out to be the benchmark for training actors, putting into effect a flexible program of educational research for all those who wish to take up theatre. Thanks to constant contact with the Compagnia Loboratorio Nove and the Teatro della Limonaia, the Scuola di Teatro is able to offer its pupils direct experience of what is really happening in the new theatrical scene. Since 1992 the Academy has been organizing various cultural activities in collaboration with the most important names in contemporary art. The Academy also has theatre courses sponsored by the Florence city council. The studentsVille founder was a student at this school and highly recommends it! In affiliation with The Art Institute of Florence, we offer a wide range of Studio Art courses at all levels including dance, music and theater performance in addition to painting, drawing, sculpture and mixed media, interior, graphic and fashion design, fashion marketing and merchandising, jewelry design, printmaking, fine art restorations, ceramics, photography, film, multimedia, and cooking. We offer courses in opera directing, opera singing, opera language, vocal music, group song, piano and musical instruments, as well as ceramics and refurbishing, Italian language, arts, music, food and culture courses. 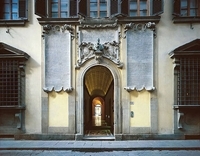 L’Accademia Bartolomeo Cristofori, fondata a Firenze nel 1989 per iniziativa di un gruppo di amici appassionati di musica e di strumenti antichi, ha avuto come obiettivo proprio quello di creare un centro, unico in Italia, dedicato interamente al fortepiano così da avere la possibilità di far musica su strumenti originali e studiare in profondità gli stili interpretativi ed esecutivi a questi connessi. The school is a long term program (fall and spring semester). Students can choose to study the entire scholastic year or simply one semester. All courses are taught by professional musicians who regularly win prestigious performing arts awards and competitions. Students who are interested will have to undergo an audition that will help our instructors decipher the level and placement of each student. 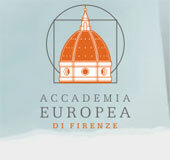 Florence is considered one of the most vibrant, arts-oriented cities in the world. Therefore, Il Trillo has access to superb theaters, recital halls and historic churches for performances in addition to practice facilities at the school. Small class sizes, hour-long lessons, and co-curricular opportunities guarantee a quality experience for our students. Our open, friendly supportive atmosphere, nurtures creativity and encourages students to achieve their best.